The Court of Appeal decided to overrule objections raised by Government Medical Officers’ Association (GMOA) President Dr. Anuruddha Padeniya on December 6, 2017, in the Court of Contempt case. The Court of Appeal observed that there is sufficient material to issue rule against Dr. Anuruddha Padeniya in the charge sheet filed against him over contemptuous statements. The case was filed against Dr. Padeniya for allegedly undermining the Court of Appeal judgement delivered regarding the SAITM issue. Dr. Padeniya through his lawyer informed the Court of Appeal that his client was not pleading guilty to the charge sheet when it was read out by the Court stenographer. A charge sheet was served on Dr. Padeniya by the Court of Appeal for allegedly undermining the Court of Appeal judgement dated January 31, 2017. The case was also re-fixed for inquiry by the Court of Appeal yesterday. Court of Appeal President Justice Preethi Padman Surasena and Justice Arjuna Obeysekara re-fixed the matter for inquiry on October 18. The judgement was delivered compelling the Sri Lanka Medical Council (SLMC) to register MBBS graduates of the South Asian Institute of Technology and Medicine Limited (SAITM) provisionally as medical practitioners in terms of the Medical Ordinance. The Court of Appeal had also issued an Interim Order (IO) preventing GMOA President from making or publishing further contemptuous statements and articles scandalising the Court of Appeal until the final determination of this contempt of court action. Two civil society activists Prof.Sarath Wijesuriya, the Convener of National Movement for Social Justice (NMSJ) and Gamini Viyangoda, the co-convener of Puravesi Balaya Social Movement had filed this contempt of Court action naming GMOA President Dr.Anuruddha Padeniya as the respondent. 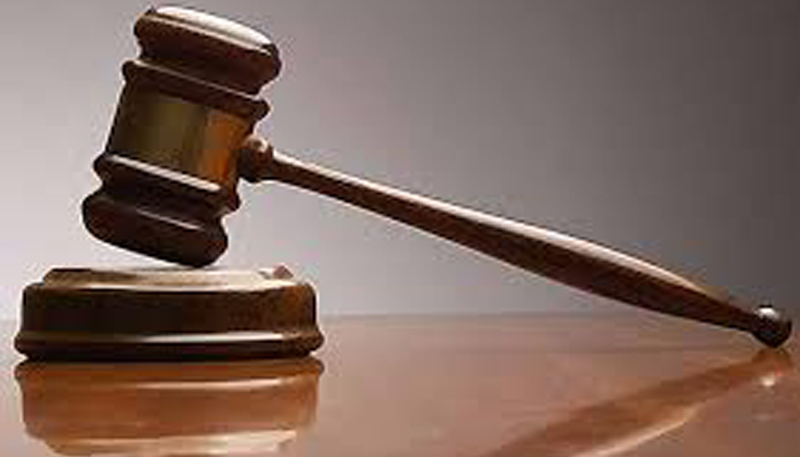 The petitioners stated that upon the delivery of the said judgment by Court of Appeal, the GMOA had condemned and openly criticised the said judgement demanding an annulment or setting aside of the said judgement. The petitioners stated that the GMOA headed by Dr.Padeniya had called for a national front and trade union action against SAITM following the Court decision ordering SAITM medical graduates to be registered with the SLMC. The petitioners stated that on April 7, 2017 the GMOA had organised islandwide trade union action against SAITM halting all health services including private practice and private health services to stress on the Government to abolish SAITM. The petitioners stated that the contemptuous statements and comments demonstrate the blatant hatred of the respondent and publication of the same in the said speech indubitably disturbs the Court process and hampers and undermines the authority of the Court of Appeal in respect of the administration of justice especially in view of the fact that the said speech was published and telecast in several media and has been uttered by the respondent in a public meeting held under topic of “Abolish the SAITM” on April 4, 2017. The petitioners are pleading that Dr.Padeniya be charged on the offence of Contempt of Court of Appeal under Article 105 (3) of the constitution of the Republic of Sri Lanka. They are further seeking an Interim Order restraining and preventing GMOA President from committing, making or publishing further contemptuous statements and articles scandalising the Court of Appeal until the conclusion of this case. They further urge to impose sentence on Dr. Padeniya as provided for in Article 105(3) of the Constitution. President’s Counsel Upul Jayasuriya appeared for the petitioners. President’s Counsel Gamini Marapana with counsel Ravindranath Dabare appeared for the respondent.